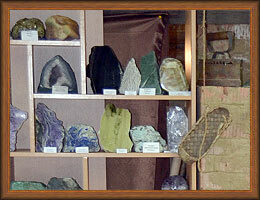 The private museum of the Baikal minerals opened in Listvjanka. Exhibits of a private museum were collected more than 50 years by Boris Rasputin (owner of the museum). All minerals of the Baikal region and samples of minerals from different corners of Russia and the world are presented here. Exposition of the museum also includes a collection of meteorites, antiquarian jewelry manufacted by Charles Faberge, rare coins and bank notes. 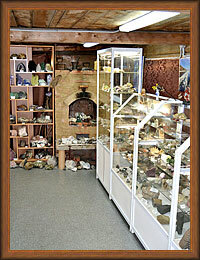 Here you can buy the Baikal souvenirs made from the Baikal semi-precious stones. 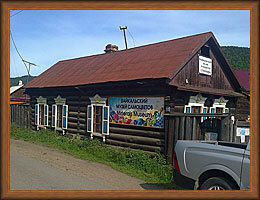 Now the museum is located in the small wooden house, but construction of the new building for it already began. Working time: everyday from 10:00 up to 18:00. 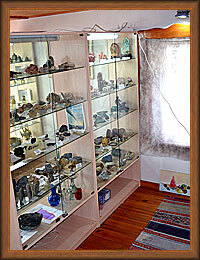 The museum is located in several hundred meters from Derevenka hotel. Having left Derevenka you should turn to the left and to pass up along Gornaya Street to Krestovaya Pad hotel complex. 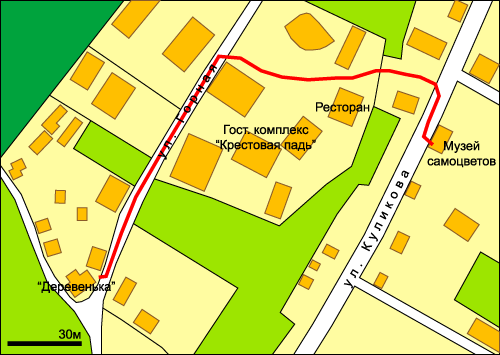 Further you should turn to the right and to pass through the hotel territory to a ladder which goes down on Kulikova street.